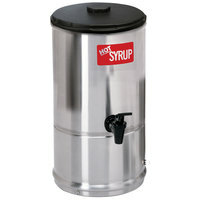 Syrup warmer dispensers come in convenient sizes that can fit on any countertop without taking up much room. These products are also available in a variety of capacities, so you can easily find the one that can handle the demands of your establishment. 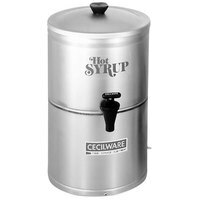 Best of all, most of these syrup warmers are NSF Listed, ensuring you receive a product that’s easy to clean and maintain. 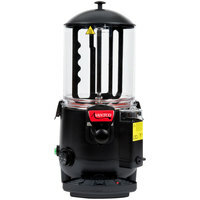 Also make sure to check out other great items from Avantco Equipment, Grindmaster-Cecilware and Wilbur Curtis. 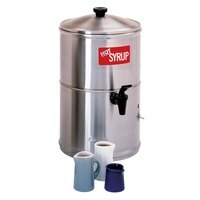 Whether you’re serving up pancakes, waffles, or french toast, a syrup warmer dispenser is a necessary piece of equipment in your establishment. 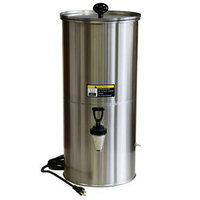 These products are designed to store and warm everyone’s favorite breakfast topping at an ideal temperature. 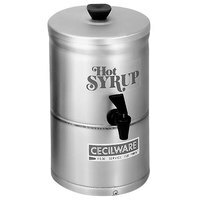 Since syrup warmers come with attached faucets, your customers and employees will have no problem pouring delicious syrup on your breakfast dishes. For more products to make breakfast a breeze in your buffet, dining hall, or hotel, check out our commercial waffle makers, cereal dispensers, and omelet makers. 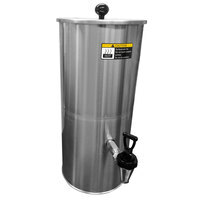 If you're wondering where to buy syrup warmer dispensers, we have a large selection of syrup warmer dispensers for sale at the lowest prices.